Product #3602 | SKU DD/BP2L12 | 0.0 (no ratings yet) Thanks for your rating! 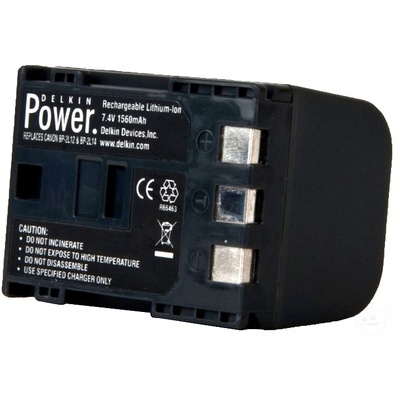 Looking for a smart replacement or spare set of batteries for your Canon BP2L12 or BP2L14 compatible digital camera or camcorder? Delkin Devices premium rechargeable (non-OEM) battery is specifically designed for these devices, offering 100% compatibility with both your camera and charger and built to the exact specifications of the original. Manufactured with the highest quality Lithium-ion cells, this power-source ensures longer performance during and between charges to avoid the risk of failure as you capture timeless memories with your device.